Merry Christmas everyone! May your homes be filled with joy and happiness during the festivities. Just wanted to stop by and share this Holiday look I wore for Christmas Eve. 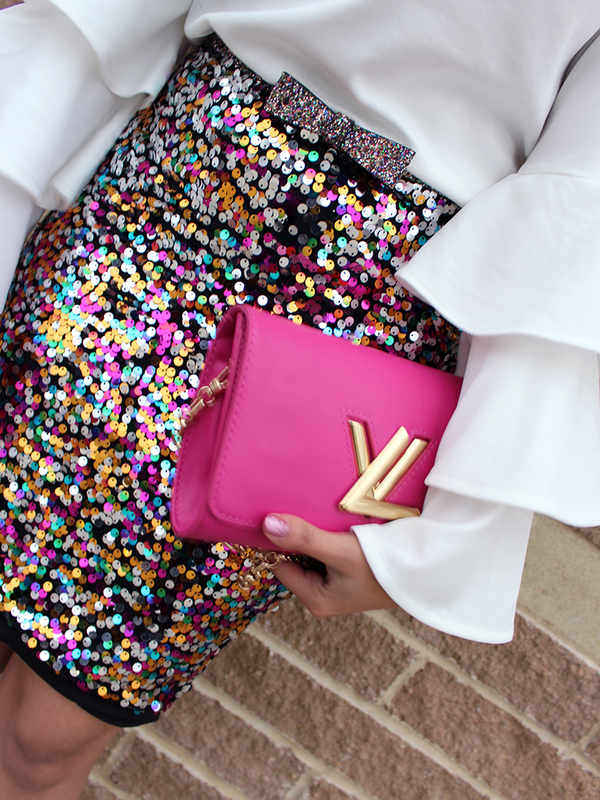 While a lot of people tend to do the sequins for NYE, I opted for this skirt I've had and paired it with this super frilly, bell sleeved top. I'm in aw with this blouse!